Served with Ciabatta Garlic Toast. Choose creamy alfredo or robust red sauce or consider combining them for a fabulous rosa sauce. 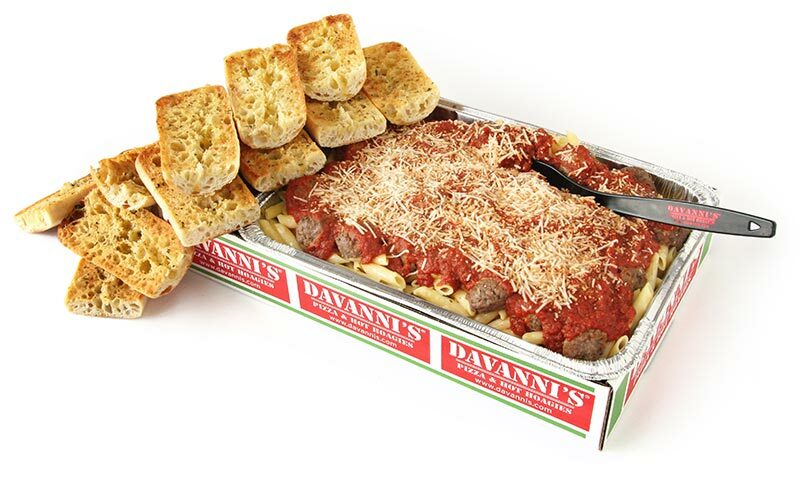 Optionally, you can add Chicken, Italian Sausage, or Meatballs. We also have a Chicken Florentine Pasta Pan – Chicken, Spinach, and Gorgonzola Cheese – for a slightly higher price.